Using hand-picked botanicals including juniper from Italy, coriander from Morocco, angelica from Germany, cubebs from Indonesia, orange from Spain, grapefruit and cumin from Turkey, and cardamom, ginger and black pepper from India, these botanicals travel thousands of miles along the ancient spice route of Philippines to London, to their final destination in Warrington, the home of England’s oldest gin producer. 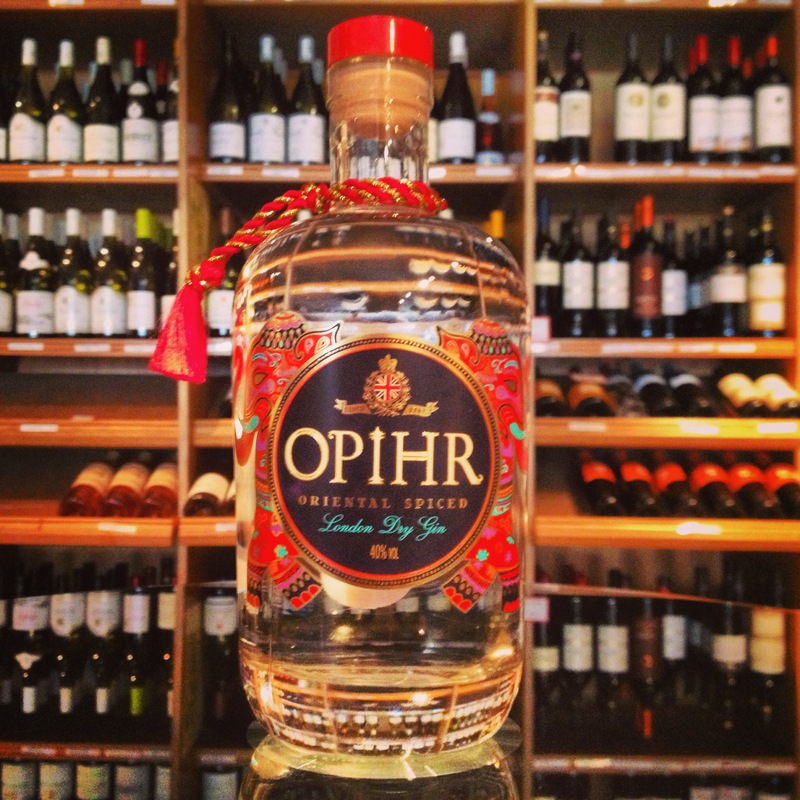 The name Opihr is reference to a port or region mentioned in the Bible, famous for its wealth. King Solomon is said to have received a cargo of gold, silver, sandalwood, precious stones, ivory, apes and peacocks from Opihr every 3 years. It’s location has been speculated as Africa, The America’s, India and the Philippines. Hints of dry spice on the nose with the coriander dominating mostly. Soft beginning on the palate but develops slowly into a warmth of black pepper and cubebs. Not too spicy, but definitely present as it creates a long finish with a touch of dryness. Pour Opihr over ice filled rocks glass and gently pour Fentimans on top. Garnish with a slice of fresh red chilli or a slice of ginger. There’s not many spiced gin out in the market, especially here in the UK, but I can see this catching on with many a bartender, so expect some fantastic creations in the coming months. Where can u purchase Ophir in the US?